Unlike others in the industry, our entire staff is Licensed or Certified as Professional Technicians by the Louisiana Department of Agriculture. 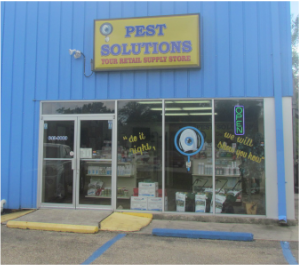 Pest Solutions is expanding it's operations in the southeast and soon will become the provider of choice in the Do It Yourself Pest Control Industry. 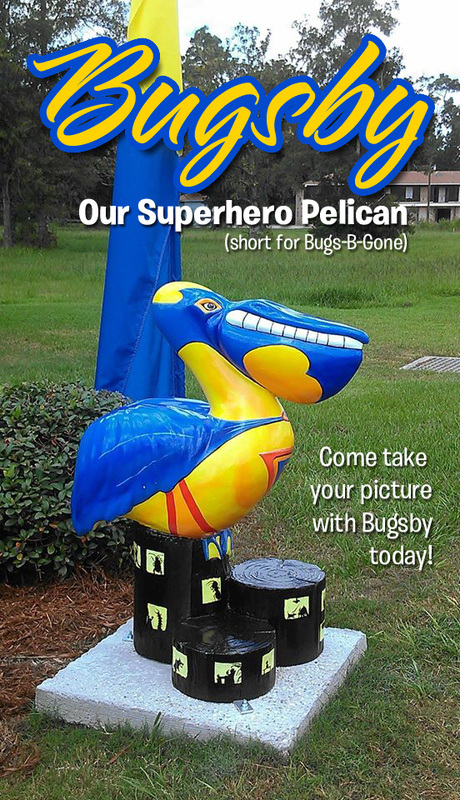 “Pelicans on Parade,” is a community art initiative that aims to help a charitable cause. The pelicans are not of the feathered variety. Instead, they are a series of 4-foot tall fiberglass “birds” that have been cropping up on street corners and in front of private businesses. Pelicans on Parade is the brainchild of Slidell lawyer Laura Mauffray Borchert, who along with her husband, Bill Borchert, viewed a similar public art initiative while on vacation last summer in Clearwater, Fla.
“When Billy and I saw Clearwater’s ‘Dolphin Project,’ we knew it had to be done in Slidell, too,” she said. The Borcherts decided on a symbol that was a little more familiar to south Louisiana residents — the state bird. The project began as an initiative through a local leadership group, but has since been primarily coordinated by Laura Mauffray Borchert. And one doesn’t have to look far to find any number of the “birds.” There are 68 pelican statues on the streets of Slidell, with orders for another 70-plus birds coming. They dot places all over town, but primarily are found in Olde Towne Slidell, and along Gause, Robert and Pontchartrain boulevards. The birds cost $1,250 each and all proceeds will benefit the Children’s Wish Endowment. An estimated $70,000 already has been raised for the St. Tammany-based charity.